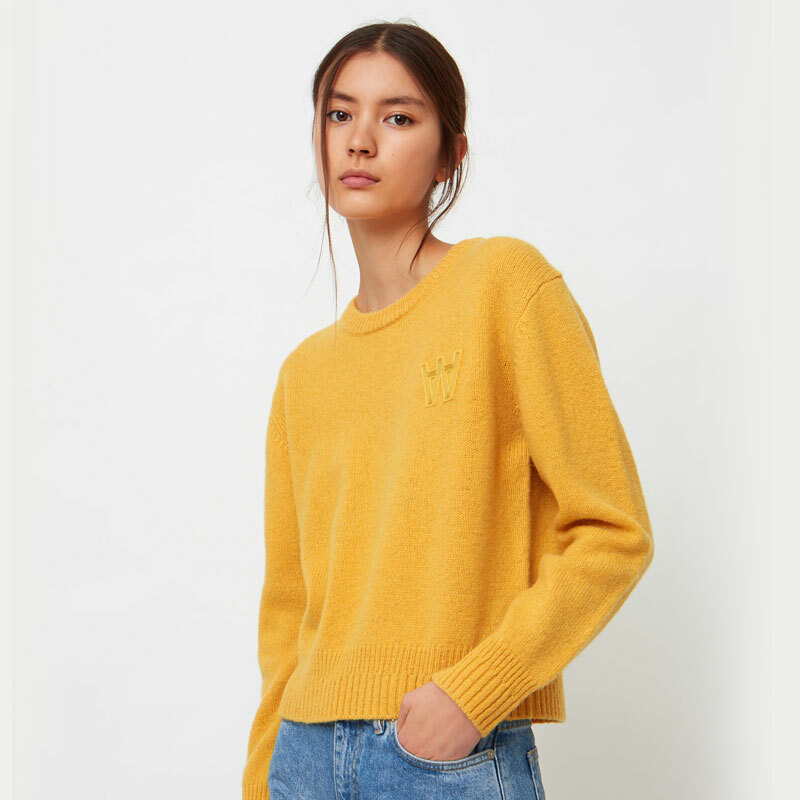 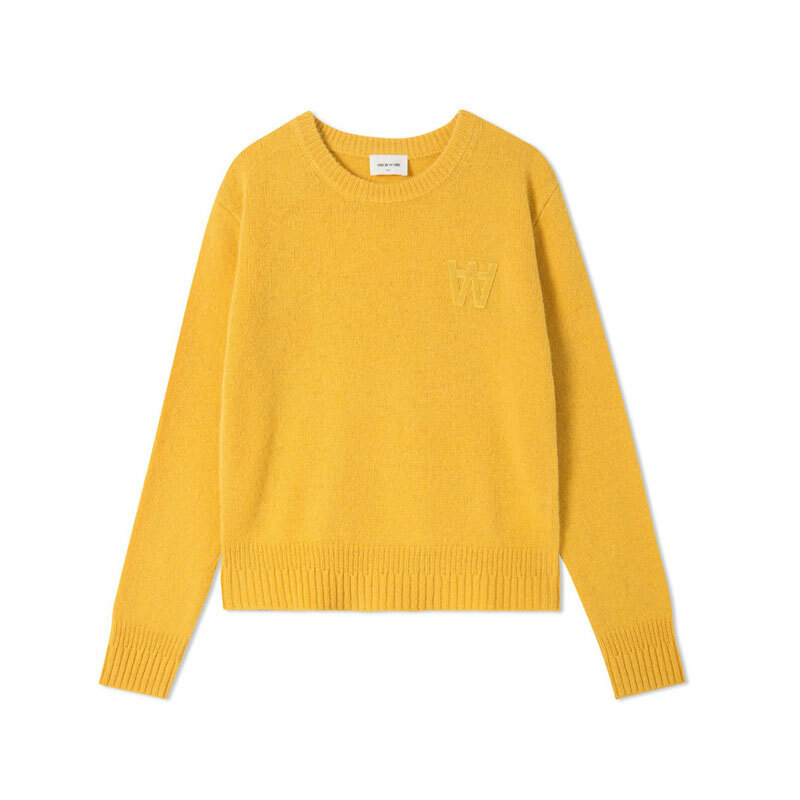 The WOOD WOOD Anneli Sweater is a mustard coloured sweater made from 100% shetland wool. 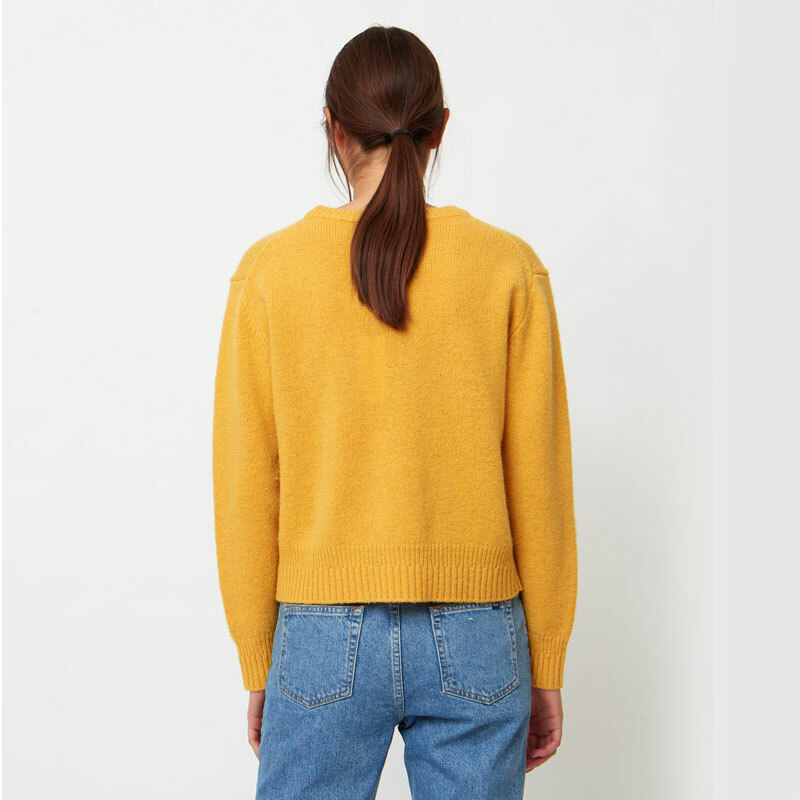 Anneli is designed with two structured rib at cuffs and at bottom hem. 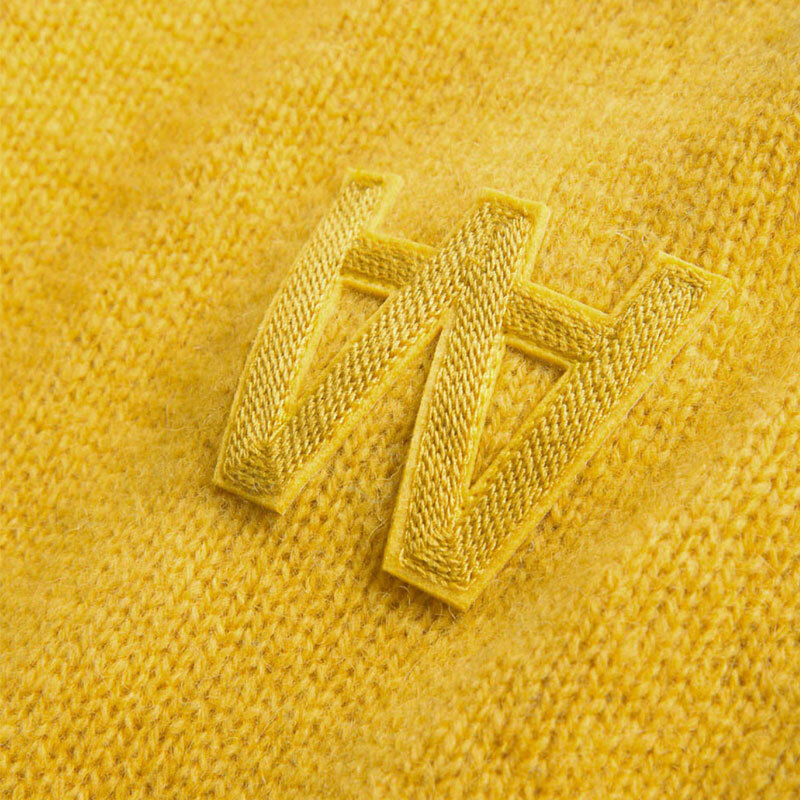 It features a round neckline and a tone-in-tone W.W. logo patch on chest.